The uniform’s contract number “DAAN02-98-P-8960” only existed on Japan militaria online stores, and they are sold as original stuff. But this kind of BDU was never issued to the Marines in the Japan. The 8-point cover’s contract number “SPO100-98-C-9503” is usually used on Propper’s commercial production. 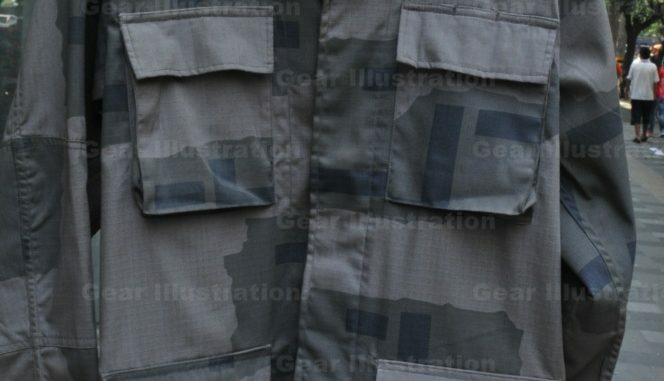 According to the official papers, the experimental BDU of this kind was made in limited number, and most of them should be worn in the test. So if they are real, most of them should be in used condition. But all of them are brand new in Japan.